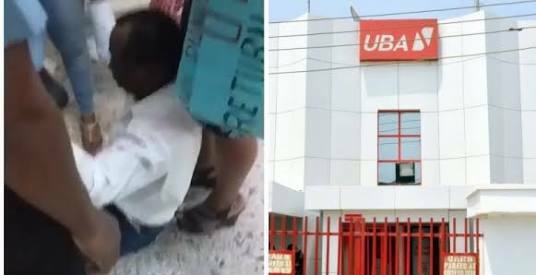 In what would come across as a rare act of compassion, United Bank for Africa (UBA), refunded the funds of a middle aged man who was recently robbed of his entire money, amounting to N247,000.00. The man who visited UBA Chevron branch office to complain about being robbed of his phone wasn't completely assisted because there were some other vital information that were not given and were necessary to block off his phone from the fraudsters. The story became dramatic after the man reportedly collapsed upon discovering that all his money was stolen by the said fraudsters. The man was later consoled and given back his entire money by the bank.